The Grinding Power Bar reduces the effort of grinding grain by 40%! 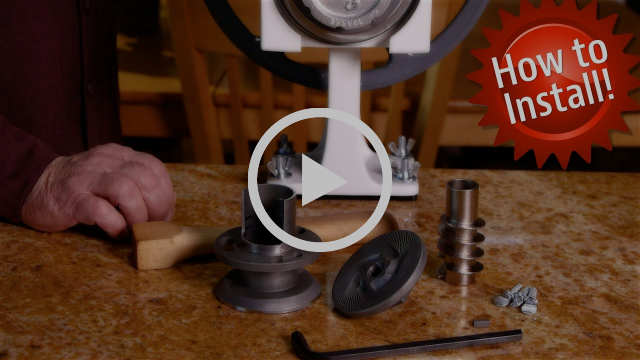 This steel extension attaches quickly and easily to the flywheel of your Country Living Grain Mill, creating more torque and making for an easier grind. Simply order mill and we will ship both mill and power bar. Cook, Bake, Dehydrate or Boil with the World’s Most Universal Power Source… Free Sunshine! We bring you an amazing Christmas Offers from Sun Oven. Everything for Roasting, Cooking, Dehydrating and being Prepared! · Covered Oval Roaster Holds up to a 7-pound poultry or roast. · Hanging Turkey Roasting Rack. · Multi-Level Dehydrating & Baking Rack Set 3 racks w/1 roll of parchment paper. · Two Easy Stack Pots w/interchangeable enamel and a glass lids. · Multi-Fuel Water Pasteurizing Indicator WAPI. Did you check out our new Product ? Country Living grain mill - Get Extra 15% Off on already Reduced Prices| Free Power Bar extension with every Grain Mill | SALE! Free Gift for Country Living Grain Mill.